Key lime pie has been a long time favorite at our house! It all started when we made an actual trip to Key West, Florida many years ago when my son was just a baby. Of course we had to have key lime pie while we were there, and I was hooked! I came back with a couple bottles of key lime juice, which are long gone these days! Sometimes I do find key limes at our local grocery store these days, and when I do I usually grab a bag. 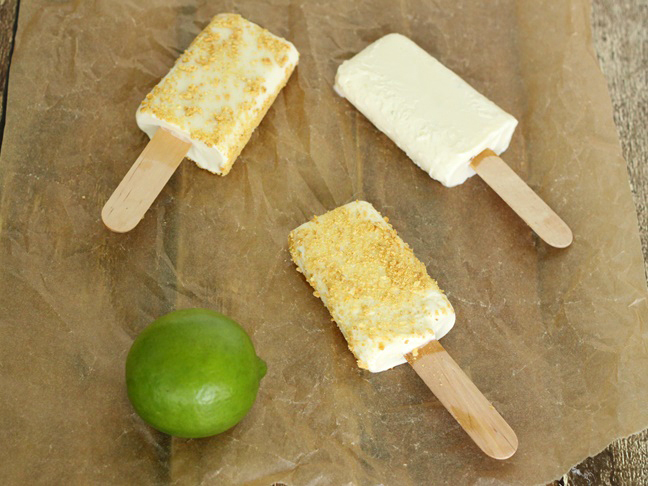 I love to make key lime pie, but I love to try other recipes too, like this fun summer recipe for key lime pie pops. This time of year it’s hard to find key limes in the store, but you can use bottled juice or regular limes as a substitute if you need to. 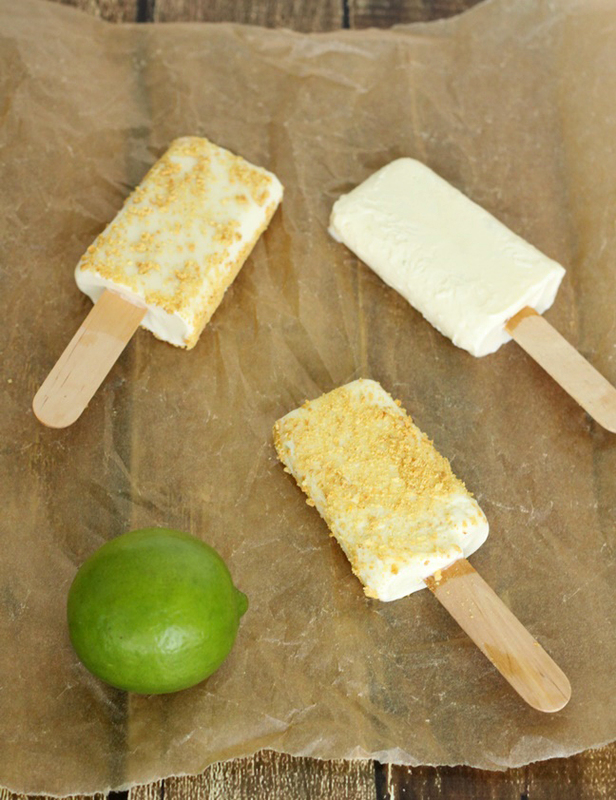 Enjoy the taste of key lime pie with these ice cold & refreshing summer pops! 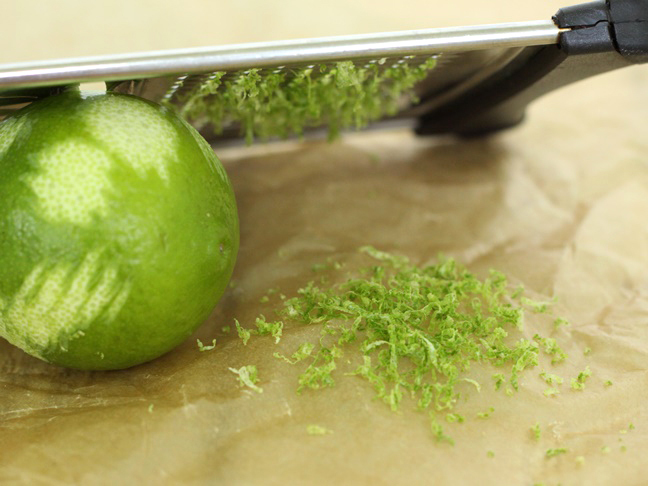 Step 1: Zest 2 key limes or one regular lime until you have about 1 teaspoon lime zest. 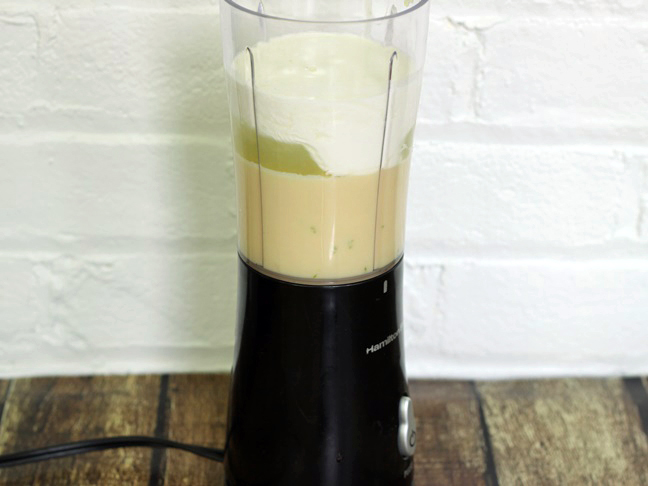 Step 2: In a blender combine together the sweetened condensed milk, milk, key lime juice, lemon zest, and heavy cream. Pulse until blended. 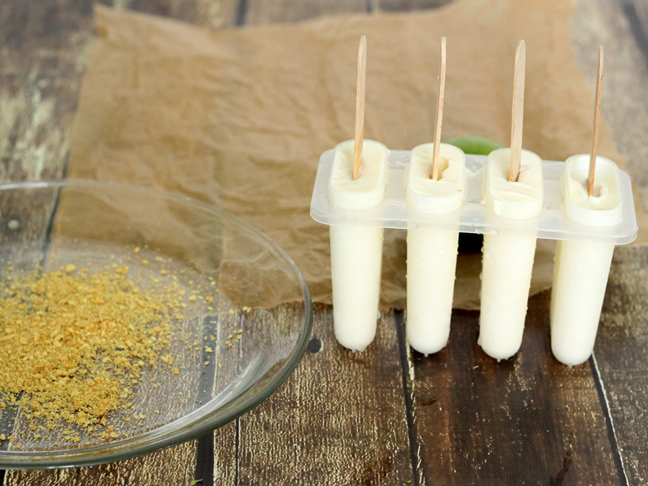 Step 3: Fill each popsicle mold with the key lime milk mixture. If you don’t have popsicle molds you could also use small disposable plastic cups to make your key lime pie freezer pops. Step 4: Place a piece of plastic wrap over the top of the popsicle molds, and secure it in place with a rubber band. 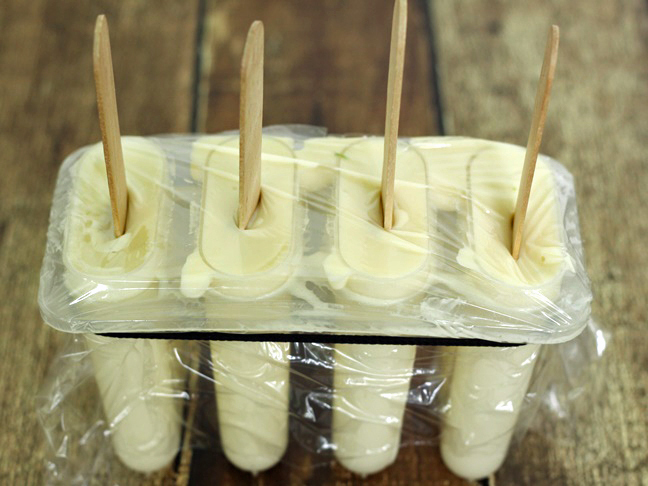 Step 5: Add a wooden popsicle stick, or if you have ice pop molds that already have a stick and a top you can add those instead of the plastic wrap and wooden sticks. Step 6: Place the popsicles in the freezer and freeze for a couple hours until set. Step 7: To loosen the freezer pops, run warm water over the mold for about 15 to 20 seconds. Remove the plastic and gently wiggle the pops from the plastic mold. Step 8: Place the crushed graham crackers in a shallow bowl or on a plate. Roll each freezer pop in the graham crackers, and then place back in the freezer on a tray to refreeze.